There are few things that I won’t want to confess, still can’t escape and today was one such thing. I completely forgot announcing a challenge during December Challenge. That’s the reason why there was no ICC done during January. Luckily I had my senses around next time round And as always whoever talks to me about ICC, was thrust with the task of selecting a recipe. It fell on PJ, who was asking me about January ICC. Bang she got the responsibly of picking one out for me. Sweet lady she is, she did the job right away, however I took few more days to finally announce it. Though while announcing I was elated that I was finally going to make the Baatis, that had captured my sense few years ago. As things would always be, I end up making it the very last moment. Only this time I got very lucky. PJ who was my partner in crime this edition, also ended up making it today. So she got another task on her. She was to prepare and then let me know which recipes turned out well. She had listed couple of them, and I also added few more. I was thinking with just about an hour or so, I was I to read through and experiment. Finally when PJ guiding me, I selected just those recipes and ended up with a classic plate on hand. 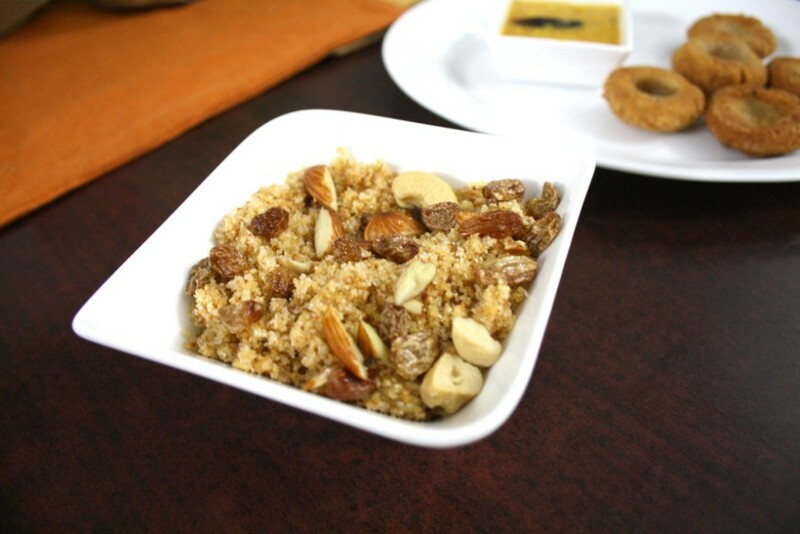 Rajasthan was right on our table for dinner. So for Indian Cooking Challenge this month, we travelled all the way to Rajasthan to get their rustic Baatis home. I only wish I had time to bake those, anyway I am sure I will be making these again. Though I don’t normally like to crowd more than two recipes in a post, I think this one demands a single post. With so many step by step, this post is going to be one long one! 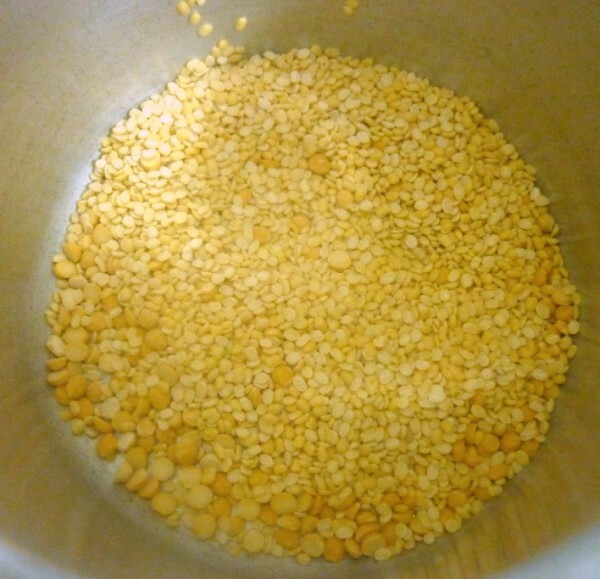 Wash and take the dals in a pressure cooker along with turmeric powder, ginger. 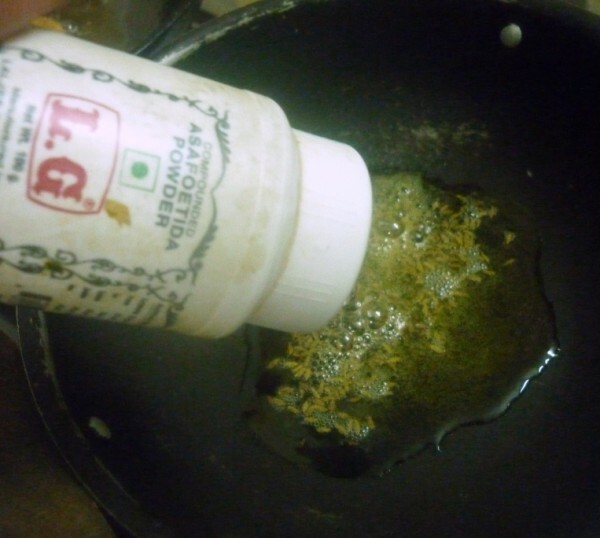 Add enough water to cover the dals. Pressure cooker for 3 -4 whistles. 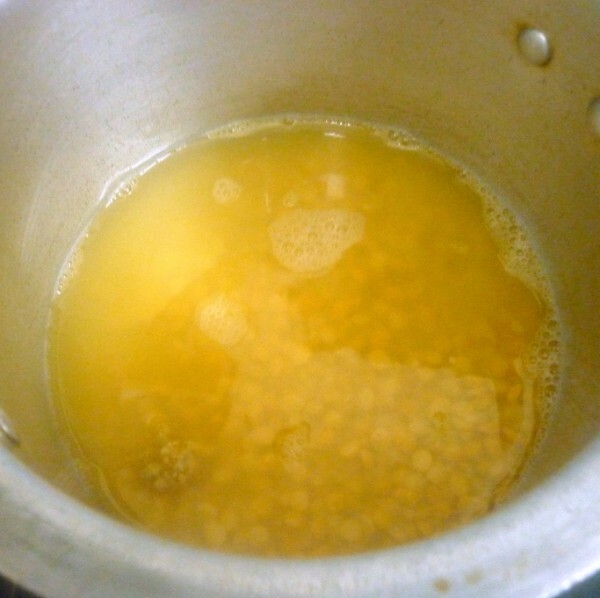 Wait for the pressure to fall, then gently mix with ladle. 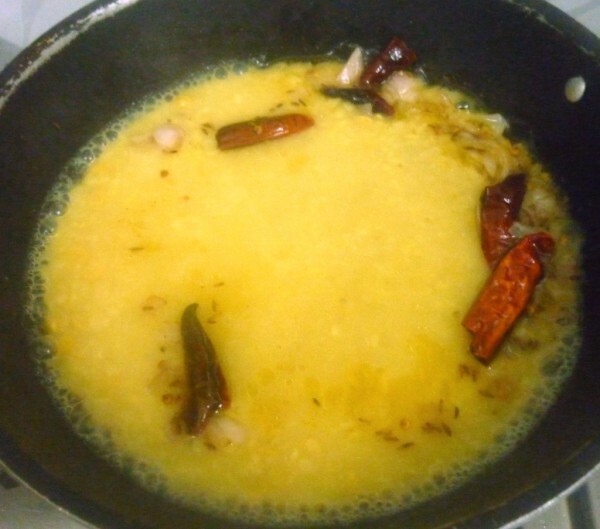 Heat a kadai with ghee, add cumin seeds, asafoetida and dry red chillies and as cumin seeds begin to change colour, add onion. Cook till onion turns light brown. 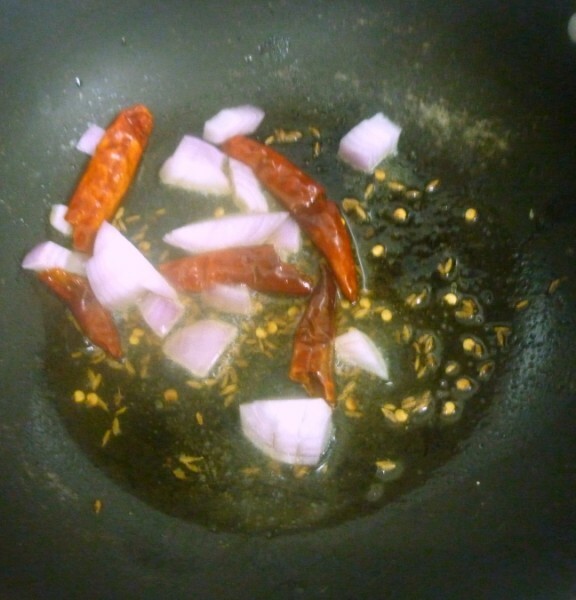 Add red chilli powder and cooked dal. Add half a cup of water and bring to a boil. 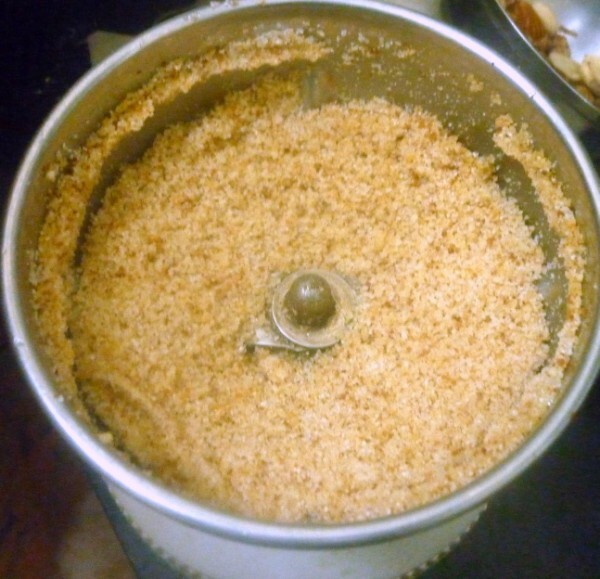 Reduce heat and simmer for ten minutes. 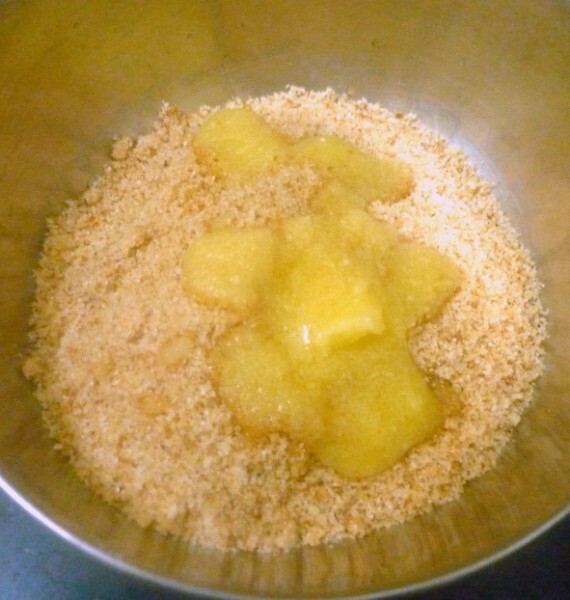 Add amchur and stir to mix well. 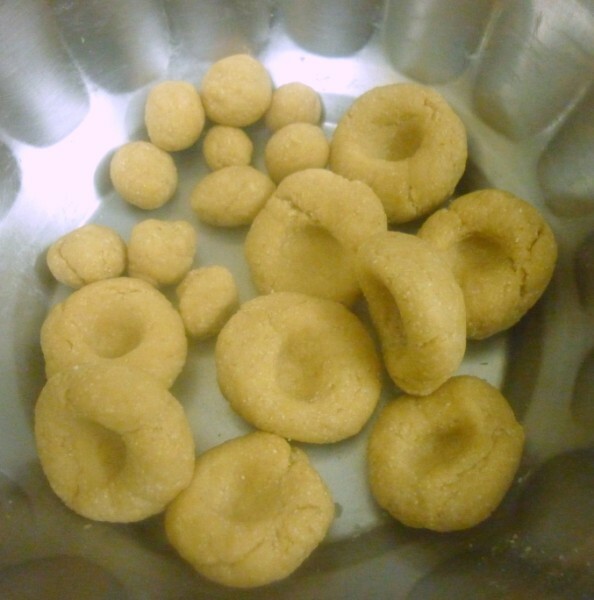 In a bowl, take the wheat flour, rava, besan, ghee and salt. Mix well. 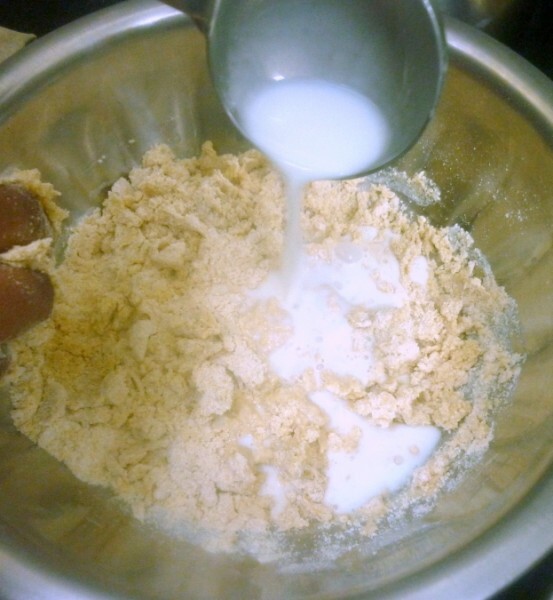 Then add milk and knead into a firm dough. 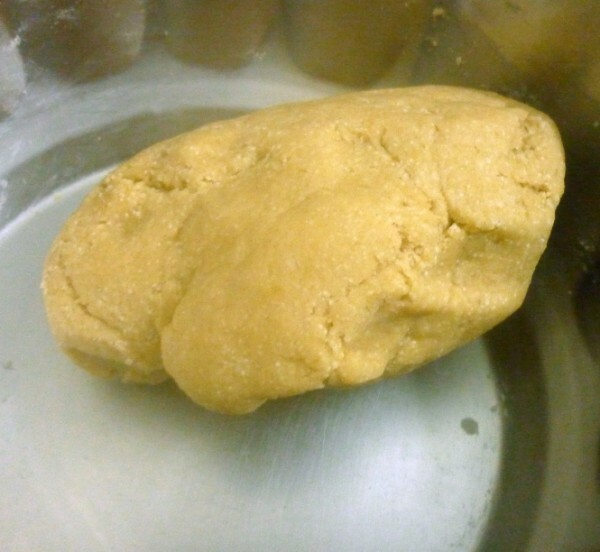 Knead well for 5 to 7 minutes. 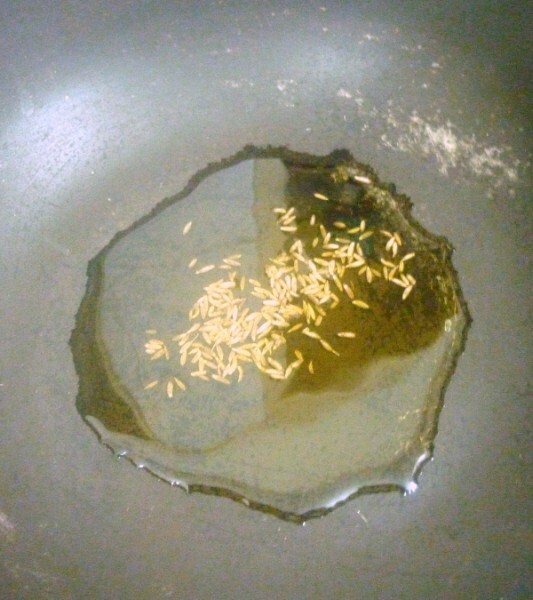 Heat a kadai with oil, gently drop the baatis into the oil and cook over sim flame till it is done. Drain once it is cooked on both sides. 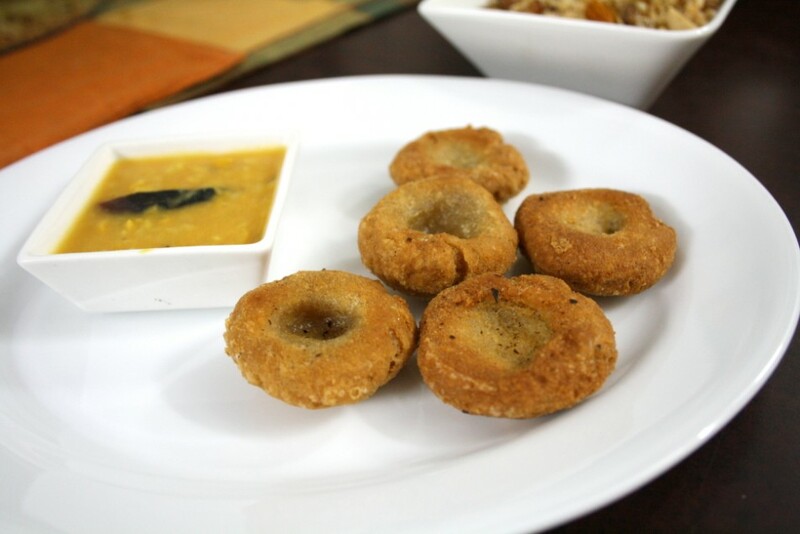 The baats can be cooked on grill of the tandoor or in Ovan. In Tandoor you can cook for 20 – 25 mins (without boiling them). 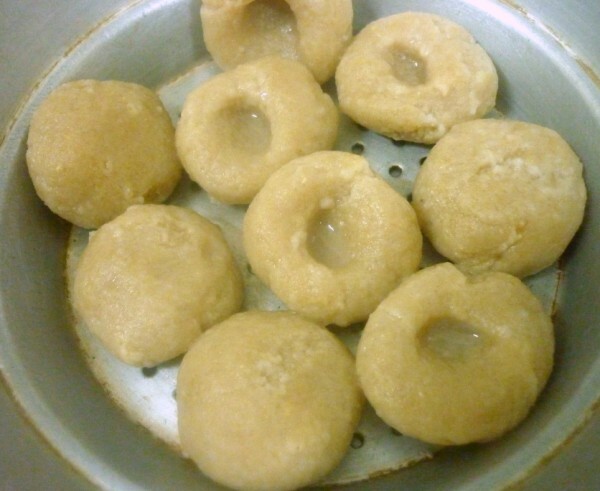 Alternatively bake the boiled baatis in a pre-heated oven at 200°C (400°F) for 10 to 15 minutes turning them over occasionally. 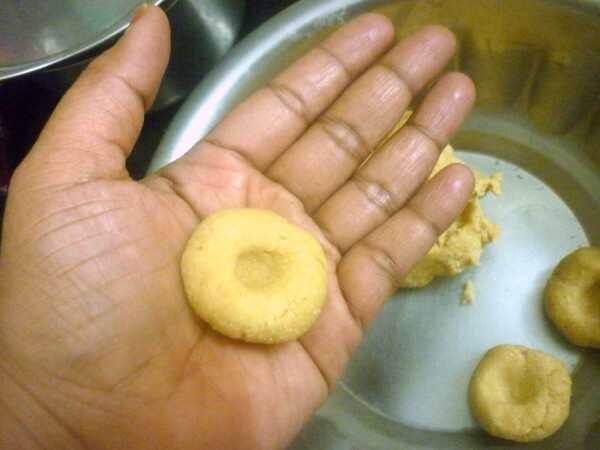 Or even deep fry them in hot ghee instead of cooking them in a tandoor. 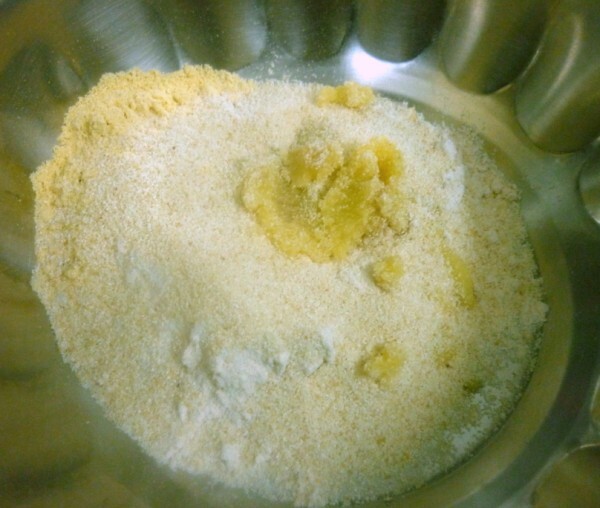 In a bowl take the wheat flour, sooji, besan, pinch of salt and mix in milk to knead to a stiff dough. Pinch out small balls and flatten the balls. 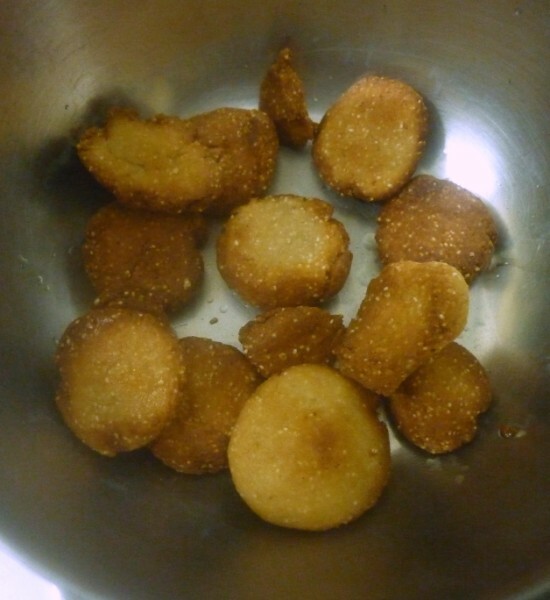 Heat a mix of ghee, oil, fry the buts and keep it aside. 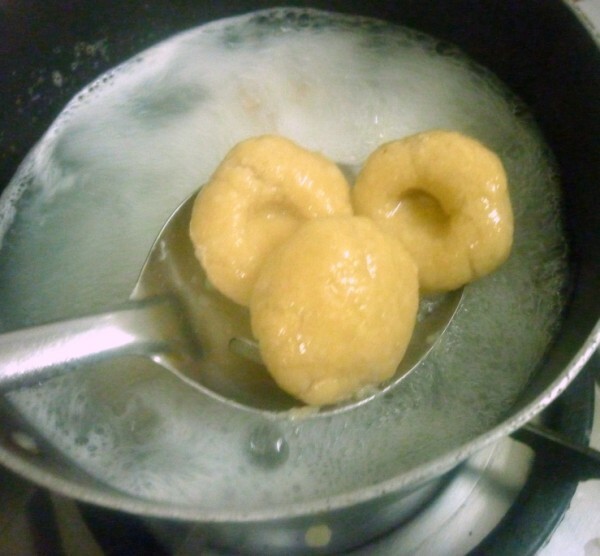 Then fry these balls. 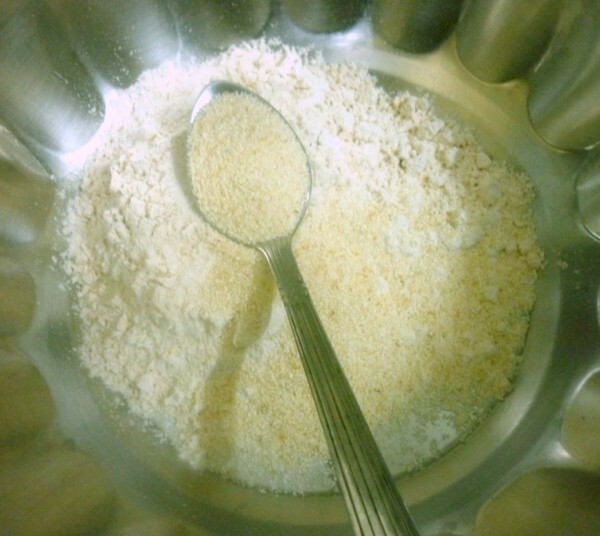 Once the balls cool down, grind them to coarse powder in mixer. 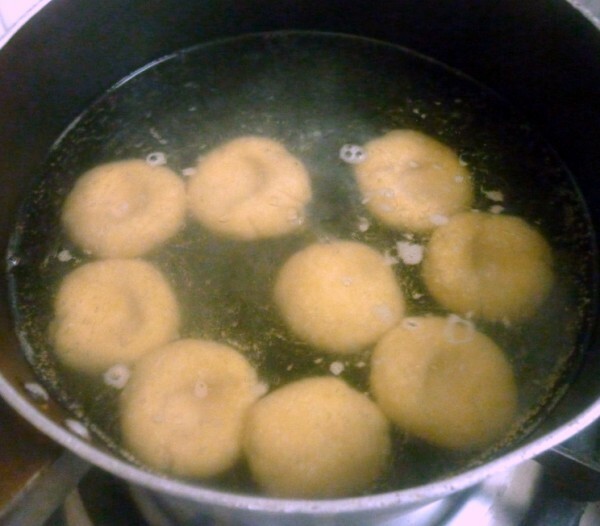 Add about 2 tsp ghee and the sugar to the fried balls. 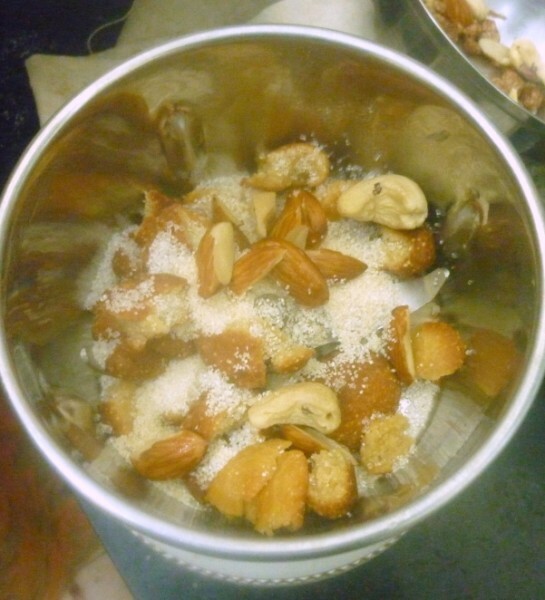 Keep some fried nuts for garnish and rest for grinding along with the fried balls. 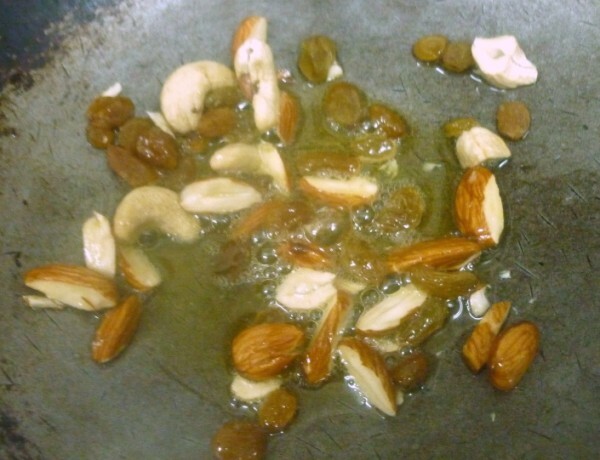 Take the above prepared choorma mixture in a serving bowl and garnish it with some mixed nuts. 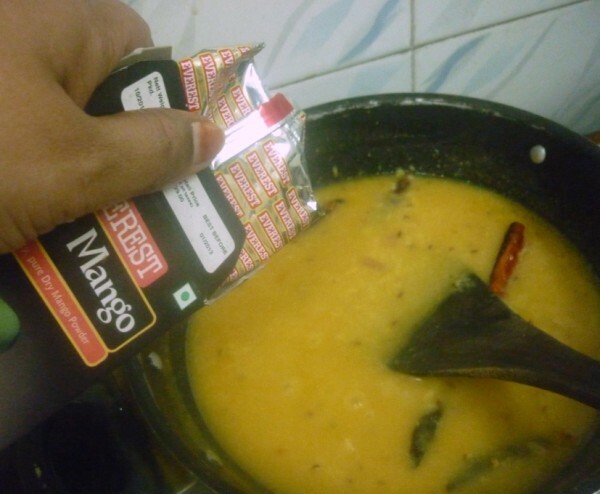 To serve the whole thing, you got to break the baatis, pour ghee, next pour Dal and eat the choorma on the side. 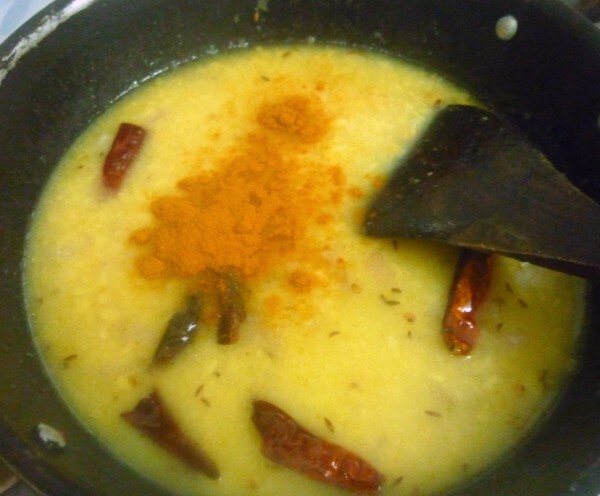 Else you can also mix some dal with the choorma and enjoy. This of course is an acquired taste. 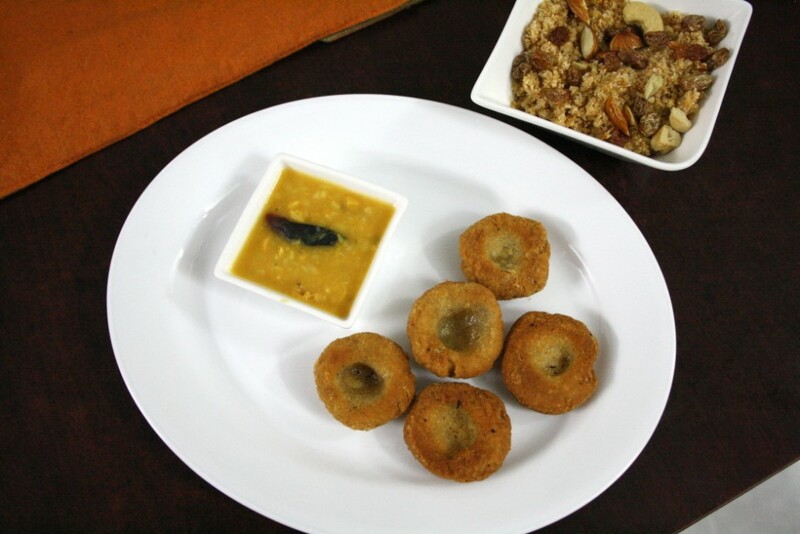 However the Dal Baati was a classic combination. 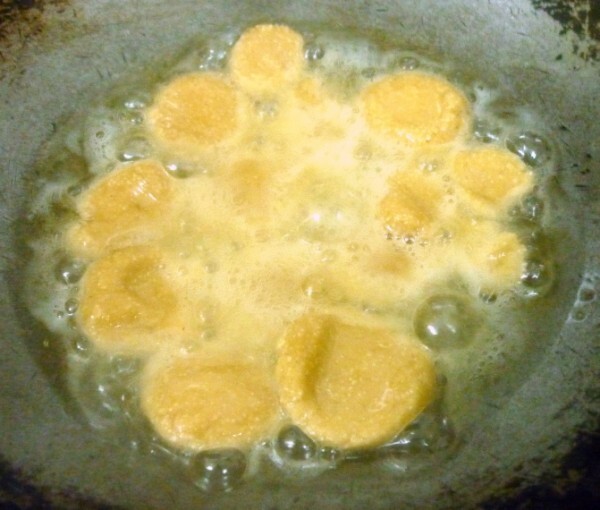 Look Delicious… I'm also using boiling nd frying method for bati… lovely taste..
Omg, wat a spread, you have done simply fabulous..Loving ur stepwise pictures,mine will be posting tonite.As am yet to make churma. Looks awesome! I have posted mine. I enjoyed making this dish. 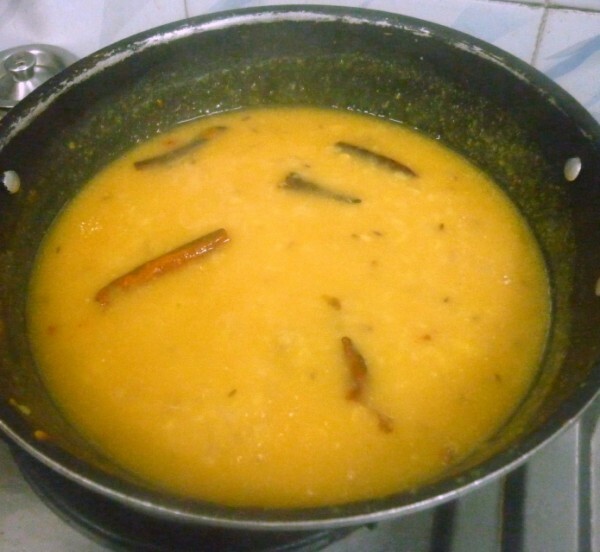 Wonderful post dear, dal bati looks delicious. such a well explained and detailed post!! very helpful stepwise as usual! !